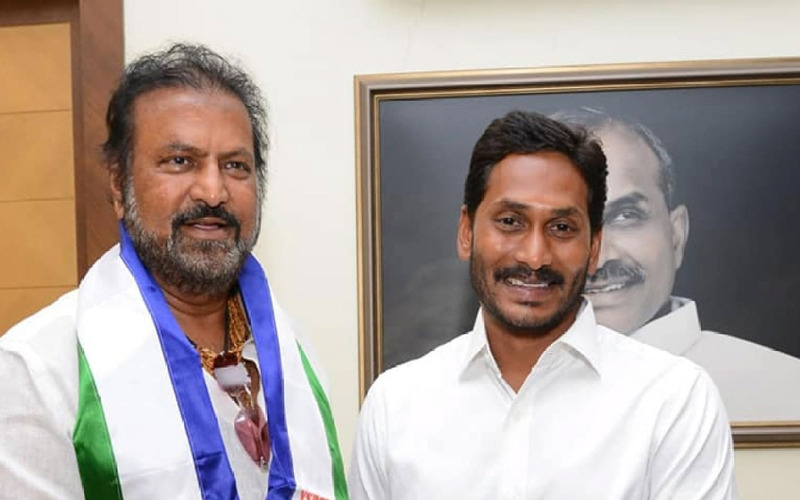 Tollywood senior actor and Sree Vidyanikethan Educational Institutions chairman Mohan Babu has formally joined YSR Congress Party today in the presence of party president YS Jagan Mohan Reddy at the latter’s residence in Lotus Pond, Hyderabad. As is known, Manchu family shares good relationship with YS family members. Recently, Mahan Babu held a protest against the TDP government over the pending fees reimbursement of the students. He along with hundreds of students conducted a rally in Tirupati, demanding to clear pending bills. Mahan Babu was in active politics during NTR's time. However, he stayed away from politics after NTR’s demise and made re-entry in films. Finally, Mohan Babu is returning back into the active politics. Mohan Babu allegedly met Jagan several times in the recent times, and that his elder daughter-in-law Viranica is also a close relative of the YSRCP chief. Mohan Babu is expected to campaign for YSRCP in the elections. As per a buzz, on joining YSRCP, Mohan Babu would be given Rajya Sabha seat. Did Top Stars Reject This Story?